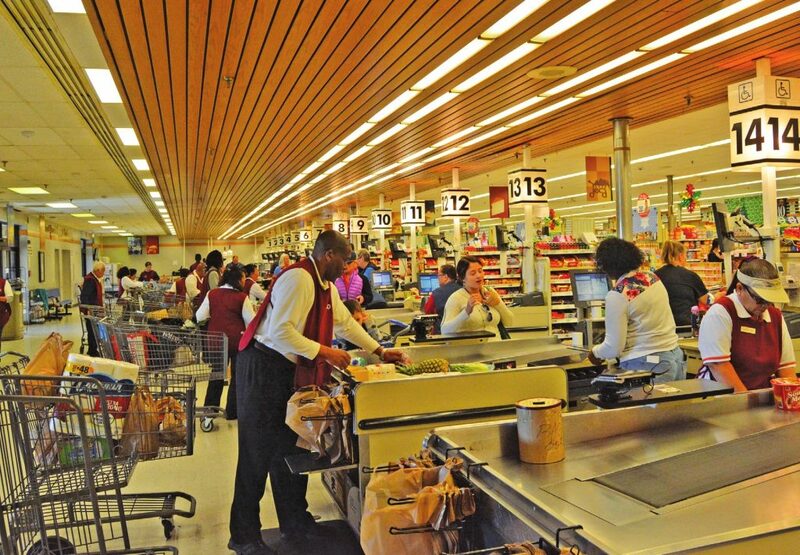 The Defense Commissary Agency Worldwide chain of commissaries provides groceries to military personnel, retirees and their families in a safe and secure shopping environment. Authorized patrons purchase items at cost plus a five-percent surcharge, which covers the costs of building new stores and modernizing existing ones. Shoppers save an average of 30 percent or more on their purchases compared to commercial prices–savings worth about $4,509 annually for a family of four. A single service member shopping regularly can save more than $1,553 a year. NAVSTA Norfolk Commissary operates seven days a week, from 0900-1900, with longer hours of 0900-2000 on Thursdays. Physically challenged customers may start shopping at 0830. Located to the left of the NEX Mall, the commissary offers 15 checkouts and 4 self service registers, a full service deli and bakery, sushi made fresh daily, fresh seafood, a Grab-and- Go section for meals on the run, and special orders available in all departments. This includes made-to-order cakes, party trays and baskets, and personal “butcher shop” service in the meat department. The store participates in the Scholarships for Military Children program, accepting applications annually from November through a specified date in February. We no longer have gift certificates, instead we have gift cards in $25 and $50 denominations. For more information or holiday hours, call 423-3188, or check the store’s web page at www.commissaries.com.